Discovering new food is probably one of my favorite adventures. Sometimes you find things you don’t like (no matter how many times I try it, I still don’t like duck). Other times you find a food and you can’t believe how many years you wasted not eating it. Pho was one of those foods for me, and about a year ago soondubu entered my life. 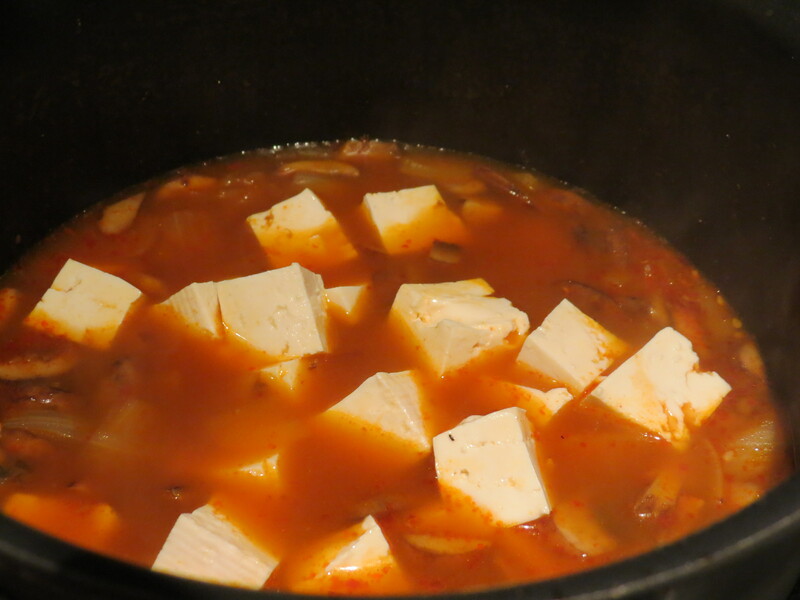 Soondubu is a Korean spicy tofu stew. Yes, it’s that simple. And yes, it’s that delicious. My Asian food partner in crime and I discovered this soup at a restaurant in Korea town called BCD tofu house. They are known for this stew. You can tell this by the fact that there’s always a wait in spite of the HUGE size of the restaurant and speedy service. This stew gets most of it’s flavor from spice, so if you are not a fan of spicy food, this isn’t a dish for you. 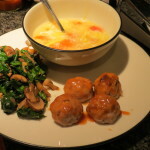 With the weather getting colder, I basically crave this soup at least once a week so I decided to re-create it at home. It didn’t quite stack up to BCD, but for a first try, I was pretty impressed! The real mystery is figuring out the spice that they use… I bought 2 spices from the grocery store for my first attempt: gochujang and roasted red chili paste. BCD serves their soondubu with a variety of different add ons (pork, dumpling, seafood, mushroom). My favorite is mushroom, so that’s what I decided to re-create. In a soup pot, melt the butter. 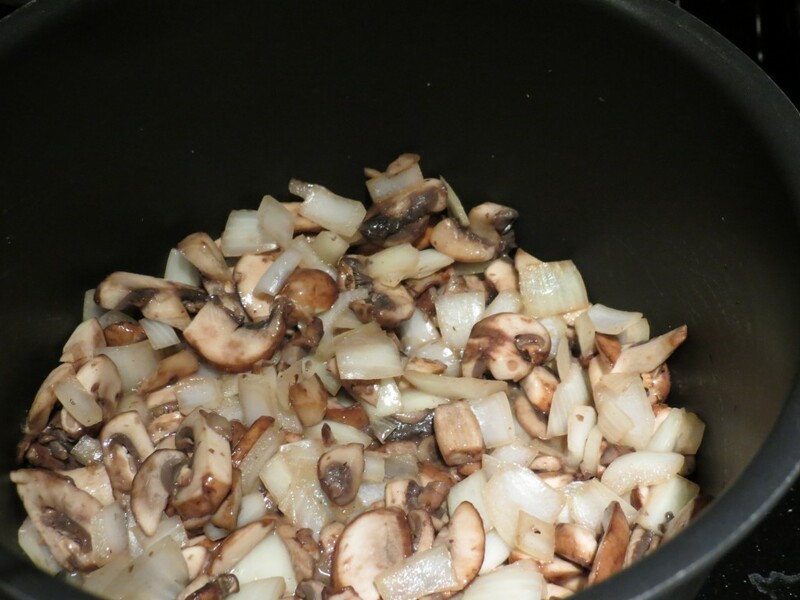 Add onions, mushrooms, and garlic salt and cook until mushrooms are slightly browned and onions become translucent. 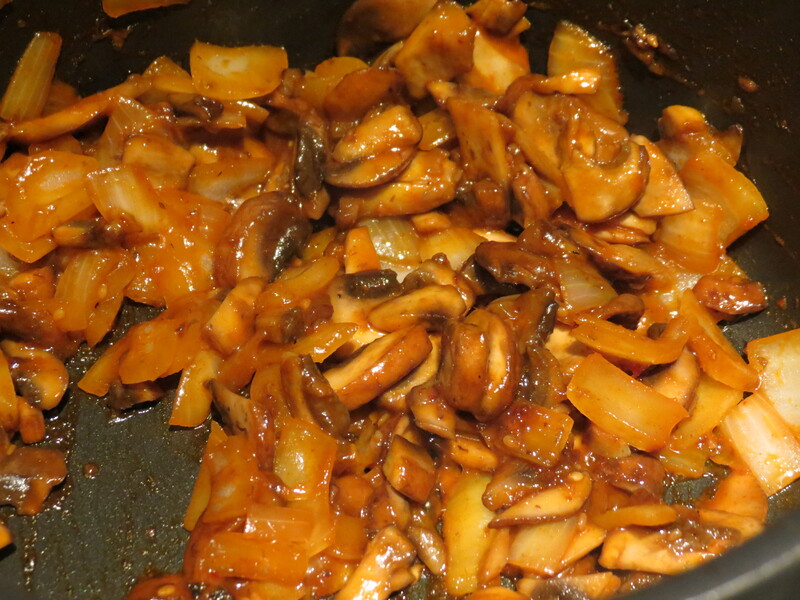 Add gochujang and chili paste and stir to coat the mushrooms. Just a note that the chili paste was not vegetarian– it has seafood in it, so if you wanted to make this completely vegetarian, you would need to experiment with other ingredients or stick with sriracha and gochujang (and maybe some red pepper). Add vegetable broth and bring to a boil. 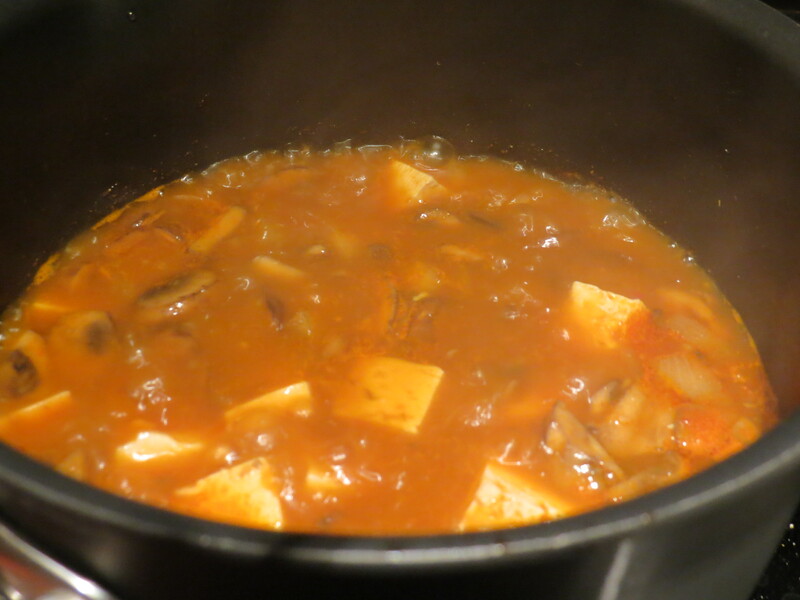 In the mean time, drain and cube your tofu and add it to the broth. At this point you should start tasting your broth to see if it needs more salt and/or more spice. Vegetable broth is a little less flavorful than a beef or chicken broth, so I added sriracha and a touch more salt. Cover and bring to a rolling boil. Now, traditional soondubu is cooked and served in a cast iron bowl so it is still boiling when it arrives at your table. I do not have that type of bowl, so I used the soup pot to serve out of. I am saying this because you need to keep your soup boiling until you are ready to serve. So while your tofu is heating through and absorbing delicious spicy flavors, prepare your rice. I am really terrible at cooking rice, so those 90 second microwave pouches are a staple in my pantry… that or keeping the leftover rice from takeout. This time, I had a brown rice and quinoa blend. Heat up rice (or you can use noodles) and distribute among serving bowls. Right before you are ready to serve, crack an egg into the boiling soup. This is one of the best parts of soondubu. You get a really beautiful poached egg and the runny yolk enhances the depth of flavor in the soup like you wouldn’t believe. That night, I was cooking for 1 so I cracked one egg. This recipe could easily feed 3 people, so I’d crack 1 egg per person. Once the egg is in, turn off the heat, bring your pot, a ladle, and your bowl to your table and start enjoying! The egg should cook pretty quickly so I dug it out right away. You can see it at the lower left side of the bowl. 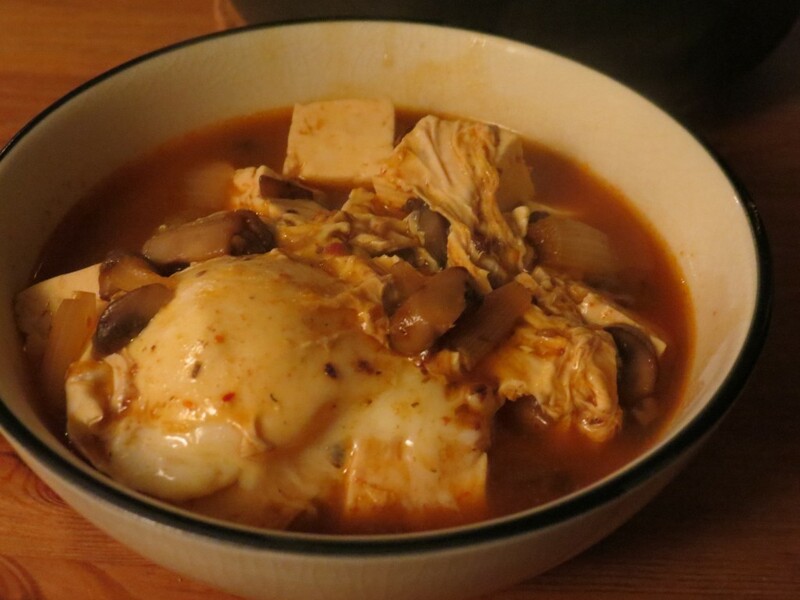 This was such a satisfying version of soondubu and I was really impressed with my first attempt. To reheat, put it back on the stove and bring it to a rolling boil again. Then add your egg and serve piping hot over the leftover rice! Go on a food adventure this week!